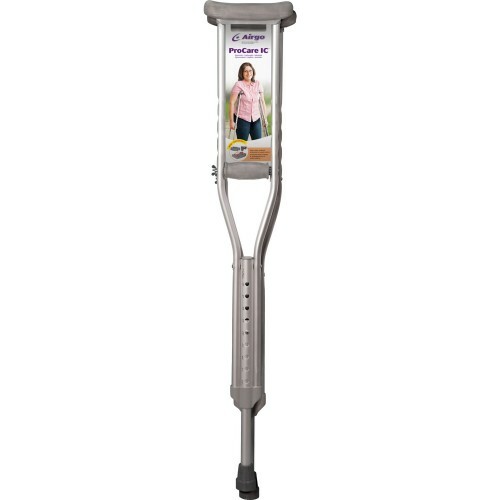 Size * --- Please Select --- Tall Adjustable 52"to 60" Medium Adult Adjustable 44"to 52" Youth Adjustable 36"to 45"
Our Airgo ProCare IC crutches feature unique contoured accessories that not only provide superior ergonomic comfort, but are also smooth and easy to clean. 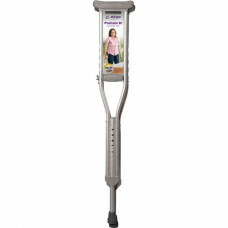 Constructed from lightweight anodized aluminum, these push-button adjustable crutches feature plastic and rubber handles and armrests and double push-buttons. • Weight capacity: 300 lbs (136 kg).